Please welcome Lee Kelly to The Qwillery. 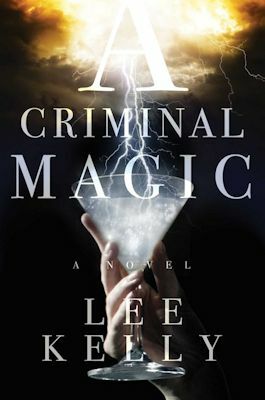 A Criminal Magic was published by Saga Press on February 2nd. My latest novel, A Criminal Magic, just released this month. The story takes place during an alternative Prohibition era, where magic instead of alcohol has been prohibited, and follows a sorcerer and federal agent as they become entangled in the magic underworld. And while I loved crafting the tense scenes between the two protagonists, Joan and Alex, and describing the historical details of this alternative Jazz Age, my very favorite part of writing this book was the magic. And there’s a LOT of it in this one – everything from sleights of hand to full-blown, multi-sorcerer immersive performances. The tricky thing with magic though is that, while it’s supposed to be fantastical, it also has to make sense. It needs to be internally consistent – there should be rules, and the rules must work together or the “magic of the magic,” so to speak, clumsily falls apart like a bad card trick. So as I was drafting this novel, I made sure to keep track of all my magic definitions and cross-references . . . and slowly but surely this evolved into a massive, dog-eared, thirty-page “Magic Encyclopedia” (yes seriously). Obviously no one’s seen any of this monster doc before, so I’m pretty excited to share some excerpts now. caging spell (n., magic type: spell). A type of blood-spell whereby an individual with the magic touch a) locks a symbolic item in a vessel with the intention of banishing the evil such symbol represents, b) seals her vessel with drops of her own blood, and c) states the appropriate words of power (see also blood-spell). She removed a sliver of the patient’s infected flesh, put it in her mason jar and sealed it with her own blood, banishing his gangrene forever with the caging spell. (related: tracking spell, protection spell). Fae dust (n., magic type: contraband). ORIGINS: IRELAND; OTHER REALITY (SPECULATED). A bright-blue, highly addictive powder with questionable magic origins, often used illicitly as a narcotic to produce hallucinations, and known for extreme paranoia-inducing side effects (see also dust, dust sweepers, dust bunnies). Get him to take it a few times, so that he’s hooked. The fae dust should work its own magic from there. Linked trick (n., magic type: visual and spatial manipulation). A type of double-sided magic manipulation whereby an individual with the magic touch connects or “links” two objects through time and space (see also double-sided trick). The robbers’ getaway plan hinged on the success of a sorcered linked trick, as police claimed three masked men rushed through the bank’s back door and disappeared, only to be spotted by passersby exiting the front door of the bakery next door. (related: separation trick). Obi (n., magic type: contraband). ORIGINS: BAHAMA ISLANDS. A dark, syrupy elixir-like drug with magic origins, often used illicitly to produce an almost catatonic, hypnotic mental state (see also death brew, Bahamian death brew, ghost brew). I’ve never touched the stuff, but more adventurous Shaw boys say obi lets you see ghosts. That the product only survives the trip across the sea because Satra’s gang made a deal with death, and has trapped damned souls inside their bottles. Force field (n., magic type: visual and auditory manipulation). A type of protective magic manipulation whereby an individual with the magic touch disguises or hides another object with a charged, magical barrier, which may be invisible or can be itself disguised as another object (i.e., a “magic shell”) (see also protective force field). As soon as I cross the threshold, I feel it, that slow pull of walking straight through a protective force field. Like an unraveling, layer by layer, like I’m being consumed slowly by a thick, black nothing. 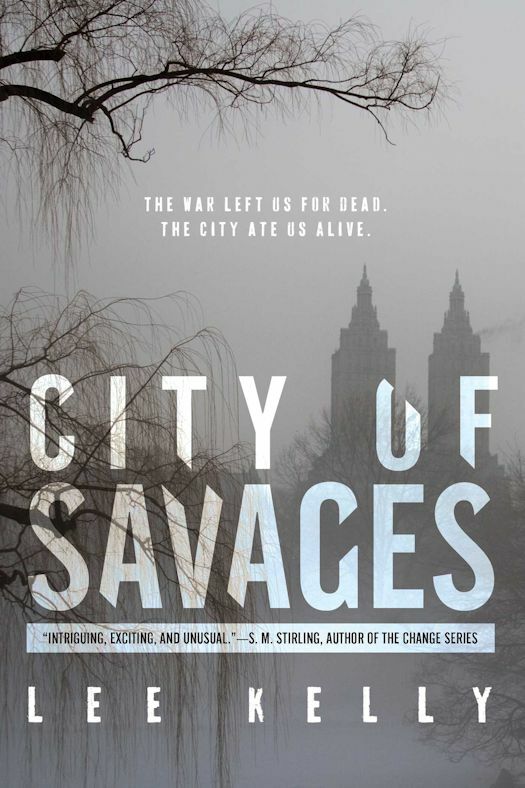 Lee Kelly is the author of A CRIMINAL MAGIC and CITY OF SAVAGES. She has wanted to write since she was old enough to hold a pencil, but it wasn’t until she began studying for the California Bar Exam that she conveniently started putting pen to paper. An entertainment lawyer by trade, Lee has practiced in Los Angeles and New York. 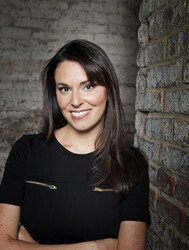 She lives with her husband and two children in Millburn, New Jersey. Follow her on Twitter at @leeykelly and on her website at NewWriteCity.com.